Italian food group Barilla has its eye on expanding in Russia and Asia as it increases its focus on international markets to drive sustainable growth. The pasta producer this week published its sustainability report, in which it reiterated its objective to reach sales of over EUR6bn (US$8bn) by 2020. In 2012 the company reported revenues of EUR3.99bn. The company said today (12 June) that it hopes to achieve this by adopting a more sustainable business model and reversing the percentage ratio of the bakery and pasta sides of its business. At present, bakery accounts for around 60% of Barilla's business, with pasta and sauces at 40%. A spokesperson told just-food that the plan is to reverse this by 2020, which he said involves "growing on a global scale, mainly through our pasta and sauces products". The spokesperson said the group's primary focus in 2013 will be on Brazil. In December, last year Barilla revealed it was looking to invest in Brazil as part of a wider push into Latin America. "Brazil is a large pasta market, it's an established pasta market and because of the tradition of Italian immigrants going there, that's where we want to focus right now," the spokesperson said. As a result, the company is looking to set up its own production facility in Brazil. It currently has a joint venture with a local manufacturer in the country, through which it has a dedicated production line. However, it is now assessing the market to see whether further investment will be made, the spokesperson said. "It depends on how the business goes." 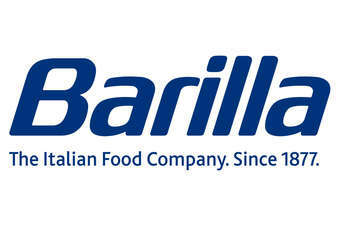 In Brazil, Barilla recorded revenues of EUR18m in 2012. It is hoping to achieve EUR100m by 2016, Paolo Barilla, group vice president, told attendees this week at the launch of its sustainability report in Milan. However, the spokesperson told just-food, further expansion in Russia and Asia are also on the radar as part of it's longer-term growth targets. "Russia is more next year, in 2014. What we are looking at currently is to see whether we can use our bakery production site in Russia. 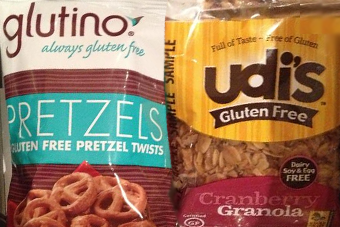 We are looking at the possibility of expanding it to add pasta. That is a concrete sign that we want to do more pasta production globally." Asia, he said, will be the "final step", but suggested it was still in the early planning stages. "There isn't that much we can say at this stage other than that we are looking at the eating habits and consumption trends in those markets to see what sort of business opportunities there are. To do that, we've opened an office in Singapore and we are looking to opening an office in Shanghai also but it is still at a preliminary stage. We are still looking at the market and the opportunities there are there." The company currently exports products to China and last year opened a research facility in the country. Aside from its international growth ambitions, Barilla's 'Good for you, Good for the planet' sustainability report revealed the company has targeted a 30% reduction in emissions by 2014 and 98% recyclable packaging.